The Great Jagras is actually one of the first beasts you're going to encounter in Monster Hunter World, but it's still a tough beast to bring down. In this Monster Hunter World Great Jagras guide, we'll be walking you through everything you could possibly need to know about the creature, including how you can track it down, and its weaknesses. Should you instead need anything else to do with Monster Hunter World, including how to quickly track monsters down using the Scout Flies, or how to capture a monster alive, head over to our Monster Hunter World guides walkthrough hub. In Monster Hunter World, you need to know your enemy before you can tackle them head on in battle. The Great Jagras is found in the Ancient Forest, and usually preys on both Kestadon and Anjanath. When it finds and eats either of its prey, its belly will swell up to at least double the size. The Great Jagras's belly drags along the ground after feeding, full of whichever prey it was last hunting. It can take this meal back to its lair and regurgitate it for other Jagras, or it can spit the meal back out when being attacked, as well as using its bloated weight to crush any hunters. Although the Great Jagras is a predator, it's lower down on the food chain than Anjanath and Rathalos, both in the Ancient Forest. You can usually find the Great Jagras hunting in the Ancient Forest map of MHW, usually in the clearing just past the Southwest Camp starting point. 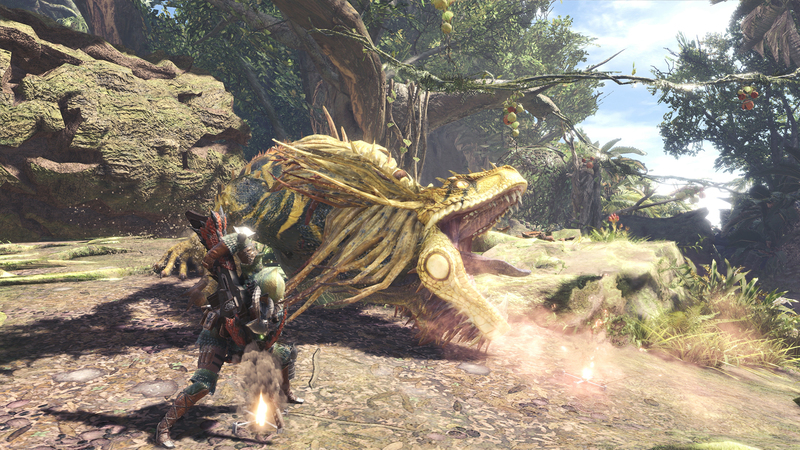 In terms of equipment and weapons to take with you, the Great Jagras is weak to both Fire and Thunder, so we'd recommend taking either the Wyvern Blade, Thunder Lance, or the Steel Axe, which is generally considered to be a good all-round weapon. 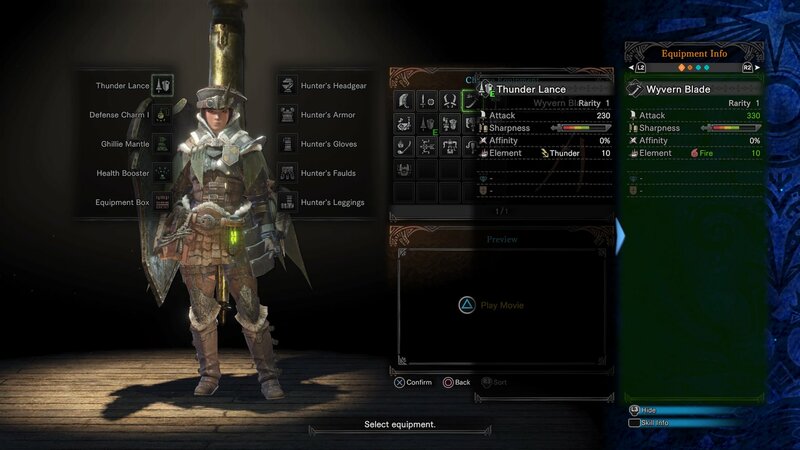 As for your Palico's equipment when hunting the Great Jagras, you should go for the Felyne Anja Hammer since it has a Fire bonus, and the Flashfly Cage, great for stunning the Great Jagras. If you're in an area with wildlife that the Great Jagras likes to prey on, make sure to look around the environment for footprints, but also for skid marks. This tells you that the Great Jagras was recently hunting here, and it's a great way to boost your search for the monster quickly. Once you've engaged the Great Jagras in combat, either before or after it’s filled its belly with prey, you should always aim for the head of the monster when possible. An ideal tactic when you're wielding the Thunder Lance is to press right trigger and then circle, to perform a counterattack against the beast, which will nearly always hit its head if you're taking it down head on. Should the Great Jagras flee from battle (it's actually faster on the move than hunters are, so if you want to stop it from fleeing) simply aim with left trigger and hit it with a stone, causing it to stop and turn back on you. Alternatively, the Great Jagras will always flee back to its lair, which is filled with numerous lesser Jagras, which it will feed if its belly is full. Nevertheless, the Great Jagras is best dealt with simply by tackling it head on. You're nearly always guaranteed to find the Great Jagras near hunting grounds with lesser beasts, so plan your strategy around the fact that it's weakest to thunder, fire, and hits to the head. Because the Great Jagras is prone to being stunned from repeated heavy hits to the head, you might want to consider taking in a heavy weapon with you. 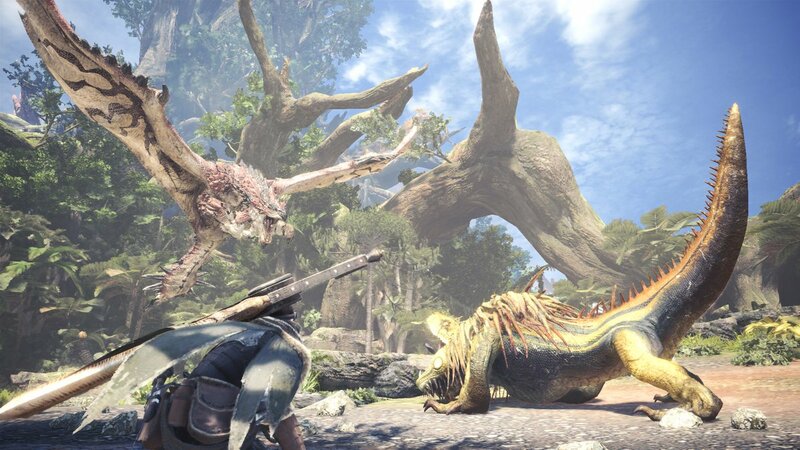 A Hammer, Charge Blade, or Switch Axe could easily be used to pelt the Great Jagras on the head, while quick weapons like the Dual Blades or Insect Glaive could also be used to attack the Great Jagras from the sides. Now that we’re all done with taking down the Great Jagras, why not check out some of our additional MHW guides, including our complete Monster Hunter World weapons guide, as well as our Canteen and cooking guide.